March 25, 2015 – CheapOair, a leading hybrid (online/traditional) travel agency, announced today that it was recognized with two top industry honors for its website and latest TV commercial. CheapOair website was named as Platinum winner in the Website (Travel) category and CheapOair’s latest TV commercial entitled “Perks” won Gold in the Commercials (Travel) category in AVA Digital Awards. Only 15 percent of this year’s more than 2,500 entrants were recognized with the Platinum award and another 18 percent received the Gold award. Organized by the Association of Marketing and Communication Professionals, AVA Digital Awards is an international competition that recognizes outstanding work by creative professionals involved in the concept, direction, design and production of digital communication media. More than 2,500 entries were received in the competition this year, from U.S., Canada and 17 other countries, with winners ranging from start-ups to Fortune 500 companies. CheapOair is the first hybrid (online/traditional) travel agency that enables consumers to book travel online, on mobile apps, by phone or live chat. CheapOair (http://www.cheapoair.com, 1-800-556-2345) bridges the gap between an online and traditional travel agency with certified travel agents available 24/7 to help find deals and offers to destinations worldwide on over 450 airlines, 150,000 hotels, and hundreds of car rentals. Partner airlines benefit from access to CheapOair’s broad customer base that books high yield international travel and add-on ancillaries at above the industry average. Follow CheapOair on Facebook and Twitter to learn how to travel the world for less. March 17, 2015 – Fareportal, one of the fastest-growing travel technology companies, announced today that it received the 2014 Top Sales Achiever Award from Air Canada, Canada’s largest domestic and international airline serving more than 190 destinations on five continents. The 2014 Top Sales Achiever Award recognizes Fareportal for consistently producing at the highest levels, clearly marking the company as an achiever of excellence. In April 2014, CheapOair became the first U.S. travel agency to offer a variety of Air Canada’s ancillary products to customers in Canada. These include seats, meals, lounge access, baggage and travel services. Air Canada is Canada’s largest domestic and international airline serving more than 190 destinations on five continents. Canada’s flag carrier is among the 20 largest airlines in the world and in 2014 served more than 38 million customers. Air Canada provides scheduled passenger service directly to 64 Canadian cities, 52 destinations in the United States and 78 cities in Europe, the Middle East, Asia, Australia, the Caribbean, Mexico, Central America and South America. Air Canada is a founding member of Star Alliance, the world’s most comprehensive air transportation network serving 1,321 airports in 193 countries. Air Canada is the only international network carrier in North America to receive a Four-Star ranking according to independent U.K. research firm Skytrax that ranked Air Canada in a worldwide survey of more than 18 million airline passengers as Best Airline in North America in 2014 for the fifth consecutive year. Fareportal is a travel technology company that powers hybrid (online/traditional) travel agencies. Utilizing its innovative technology and company owned and operated contact centers, Fareportal has forged strong industry partnerships with over 450 airlines, 150,000 hotels and 100s of car rental companies to serve millions of customers every year. With a portfolio of consumer travel brands including CheapOair and OneTravel, Fareportal’s airline partners benefit from access to a broad customer base that books high-yield international travel and add-on ancillaries at a rate higher than the industry average. To learn more, visit www.Fareportal.com. March 13, 2015 – Fareportal, the parent company of leading hybrid (online/traditional) travel agencies CheapOair and OneTravel, announced today that it won a total of two gold, six silver and six bronze awards in the 9th annual Stevie Awards for Sales & Customer Service. 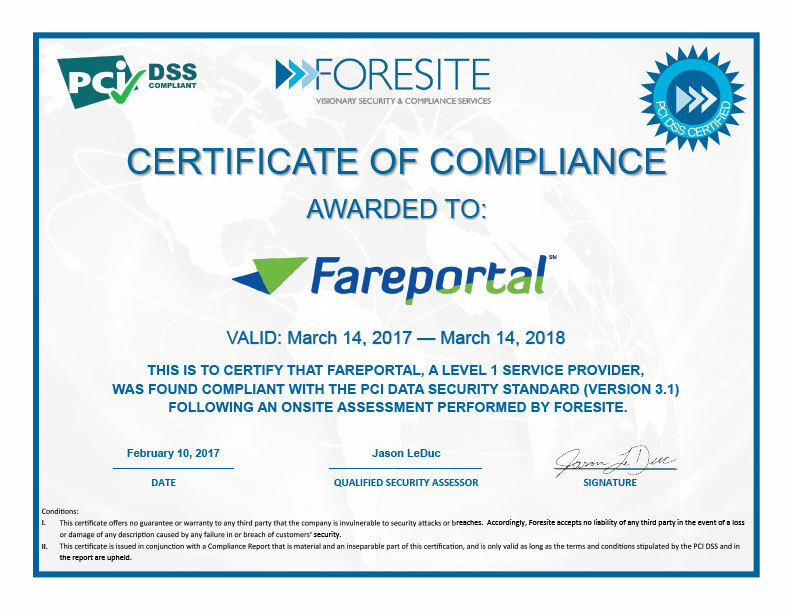 As a result of the company’s multiple recognition, as selected in independent judging by more than 200 business judges, Fareportal was also named #5 most awarded company during this year’s competition, among such industry leaders as DHL, Delta, John Hancock, Marriott and Vizio. CheapOair’s customer service department won gold in the Innovation in Customer Service category and Ruben Bello, VP of international operations, won gold in the Customer Service Leader of the Year category. The company’s silver winners included customer service department, contact center and best use of technology categories, as well as individual silver recognition for customer service agents Devindra Seenarain and Carmen Jimenez. Bronze winners included Roy Sneharthi, SVP of operations, as well as customer service agents Nitin Verma, Yatendri Sahai and Fiona Sailo. OneTravel accolades included silver award for Belinda Bishop, senior director of operations and bronze award for Tony Pham, associate director of operations. All winners are published at: http://www.stevieawards.com/pubs/sales/awards/426_2281_25576.cfm. The Stevie Awards for Sales & Customer Service are the world’s top sales awards, business development awards, contact center awards, and customer service awards. More than 1,900 nominations from organizations of all sizes and in virtually every industry were evaluated in this year’s competition. Finalists were determined by the average scores of 139 professionals worldwide, acting as preliminary judges; and more than 100 members of several specialized judging committees determined the winner placements from among the finalists during final judging in February. The awards were presented to honorees during a gala banquet on Friday, February 27 at the Bellagio in Las Vegas, with more than 500 executives from the U.S.A. and several other nations in attendance. March 11, 2015 – CheapOair, the first flights-focused hybrid travel agency, announced today the top ten international and domestic destinations its consumers are traveling to for spring break, between March 1st and April 11th. This year, spring has proven to be an ideal time for travel, as airfares have significantly decreased for the top destinations, with domestic prices averaging $293 and international prices averaging $734. Roundtrip airfare to San Juan is averaging $410, which is around 44 percent less than 2014’s prices, while roundtrip airfare to Cancun is down 9 percent, averaging $469. For travelers looking to stay within the U.S., airfare to Miami is down 16 percent, averaging $294 roundtrip, and Las Vegas is also down 10 percent, at $271. Travelers can sign up to receive daily travel deals to various destinations, including the top spring break locations for 2015, by making a CheapOair profile at CheapOair.com. For more information, please visit CheapOair.com, CheapOair.com/mobile, or check out CheapOair’s Miles Away Blog for travel tips and trends. March 10, 2015 – CheapOair, a leading hybrid (online/traditional) travel agency, announced today that it was recognized with the High Flyers Award by Trustpilot in February. Only a handful of Trustpilot’s more than 10,000 review partners earn this elite title. “CheapOAir demonstrates excellence in all of the values a High Flyers award recipient should. Reading through just a few of their over 1,300 reviews, it is obvious that customers are thrilled at CheapOAir’s commitment to delivering every customer a truly outstanding experience. Through their near-perfect TrustScore and their history of industry recognition, it is clear that their team is 100% dedicated to providing a personalized, attentive, and overall standout customer experience from top to bottom. By engaging directly with their customers, their team has built a reputation of delivering fast, simple, friendly, and exceptional service, setting a high standard for other members of the travel services and online review communities,” said Jordan Garner, director of customer success at Trustpilot. In more than 1,200 online reviews, CheapOair has received consistently high praise and an overall ranking of 9 out of 10, underscoring its unshakeable commitment to delivering top-notch customer experience. CheapOair’s excellent customer service was recognized with two other awards from top-tier global awards programs in the past two months alone, winning the top accolade in the Customer-Focused Innovations category in the 7th annual International Service Excellence Awards and gold award in the Innovation in Customer Service category in the 9th annual Stevie Awards for Sales and Customer Service. Trustpilot offers a global, multi-language online open review community that builds trust and transparency between consumers and businesses. Launched in 2007 and boasting more than 100,000 businesses and 12 million consumer reviews, Trustpilot produces a TrustScore for businesses based on recent reviews. Every day, more than 10,000 consumers join Trustpilot and every five seconds a new review is posted. The platform helps businesses generate actionable insight through real-time analytics of customer review data, which can be used to improve business operations, increase customer satisfaction and drive innovation. Trustpilot has customers in 65 countries and offices in Copenhagen, London, New York and Melbourne. Trustpilot was selected as one of Crain’s 2014 Best Places to Work in New York City with 300 employees representing 40 nationalities.